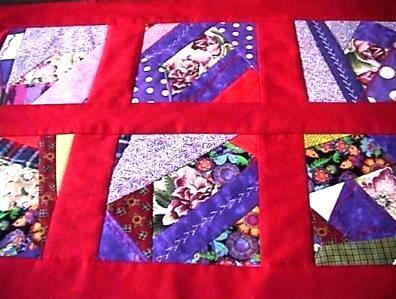 Quilt top/table runner is 40 x 18 inches. Please note that most of these photos were taken outside on a sunny day but the true brillant colors don't show well in the photos. This runner/wall hanging is very colorful. The red is a deep real red. I cut and sewed this cute little jewel and did the embroidery on my sewing machine. Aunt Grace REPRO and other fabric is on some of the blocks. 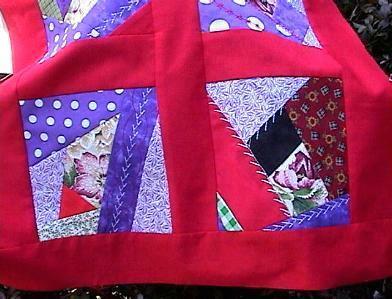 The beautiful floral print is in the center of each block within the quilt top. I know that you will love this top. 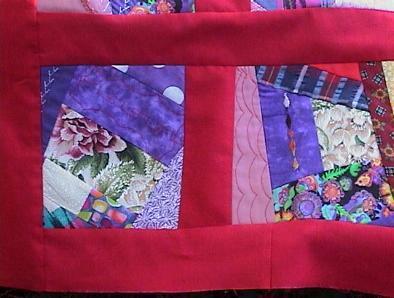 It has to have batting, backing and your quilting to be finished. 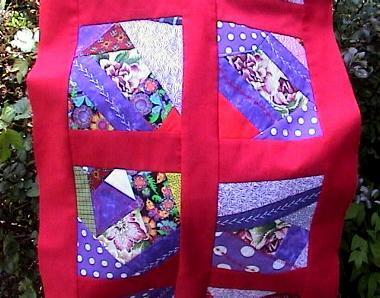 Email me if you would like for me to do the quilting for you at a reasonable cost. Most fabrics in this item are good quality 100% cottons - only 2 or 3 are good quality cotton/poly blends.